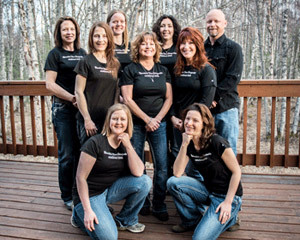 At Mountain View Chiropractic and Wellness in Wasilla, our goal is to help you meet your health goals. From your first visit, we’ll find out what outcomes are important to you and provide you a natural, drug-free solution to help you get there. Whether you’re looking for relief from chronic pain or want to achieve better overall health, our knowledgeable and friendly team is ready to work with you to develop a personalized treatment plan that helps you achieve your health goals. Dr. Blaine, Wasilla chiropractor, believes that your health is your greatest asset, but there is more to health than just relieving pain. It is about understanding and learning how your body works to improve your quality of life! Once you understand what causes your pain, you’ll be empowered to make different choices and live more comfortably. We strive to make you as comfortable as possible and get you feeling and functioning at your best to help you maintain your good health. And, Dr. Blaine practices what he preaches – an old injury had caused him to suffer from low back pain for many years. Through stretching, exercise, and regular chiropractic care, Dr. Blaine is able to control his pain and lead an active, healthy life. Whether you have previously visited a chiropractor or are unfamiliar with chiropractic care, Mountain View Chiropractic and Wellness invites you to see how Dr. Blaine and his team can help you feel better and live better. Contact us at (907) 357-6688 to schedule your free consultation. Let’s get you on the path toward achieving your personal health goals. Your health is in your hands. We are here to help.